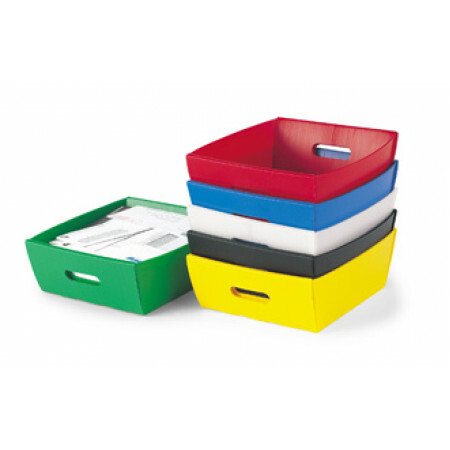 Lightweight yet strong, corrugated plastic letter trays are built to last. Like-sizes nest together to save space. 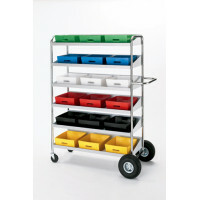 These popular trays are the standard for mail handling and package routing in today's mail center, mailroom, office and warehouse. 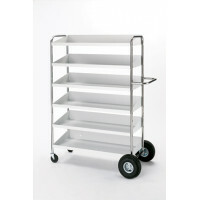 Trays ship flat. 100% Recyclable. IMPORTANT: If mixing colors please fill in the text box with your color choices and quantities or call Customer Service at 800-328-2962 with your individual color and quantity choices. • Handle holds for easy pick up.